Dr. Funt has been selected as a Top Doctor in the New York Metro area. Dr. David K. Funt is certified by the American Board of Plastic Surgery and specializes in cosmetic surgery. He is a member of the American Society of Plastic Surgeons, the American Society of Aesthetic Plastic Surgeons, the Northeastern Society of Plastic Surgeons, and the New York Regional Society of Plastic Surgeons. Dr. Funt is a Fellow of the American College of Surgeons. Dr. Funt has been recognized by Castle Connolly as a "Top Doctor" for the past 12 years. He has been featured as a "Top Doctor" in Long Island Newsday and in The New York Times. He has also been recognized as a "Best Doctor" and a "Super Doctor". Dr. Funt has lectured about ‘Complications of Aesthetic Injections’ on October 19, 2017, at the Facial Aesthetics meeting. Recognized as an expert in noninvasive and invasive cosmetic surgery, Dr. Funt has been featured on ABC and WB11 news. He is frequently an invited lecturer in professional and non-professional forums on the use of facial fillers as well as facial anatomy. He is considered an expert on the avoidance and treatment of filler complications. He has published in peer-reviewed medical journals as well as in popular magazines. He teaches courses on anatomy as it relates to fillers and neurotoxins (Botox, Xeomin, and Dysport), and proper filler injection technique. He is also featured in several instructional DVDs. Dr. Funt received his undergraduate degree from Cornell University where he received a Bachelor of Science degree with distinction. He then went to The George Washington University School of Medicine and Health Sciences where he received an MD degree with distinction and was elected to membership in Alpha Omega Alpha, the medical honor society. Dr. Funt performed his residencies in general and then plastic surgery at the Montefiore Hospital and Medical Center and the Hospital for the Albert Einstein College of Medicine. He also had additional training in burn and microvascular surgery. Since the completion of his training, Dr. Funt has been active in resident teaching as an Assistant Clinical Instructor in Plastic Surgery initially at the Albert Einstein College of Medicine and more recently the Mount Sinai School of Medicine. Dr. Funt has a Certificate of Advanced Education in Cosmetic Surgery by the American Society of Aesthetic Plastic Surgeons. 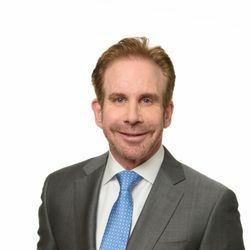 He is a national instructor for Allergan Inc. (the makers of Botox and the Juvederm family of injectable fillers) and Merz USA (the makers of Belatero, Xeomin, and Radiesse). He serves as medical director for Merz USA. He is a founding member of the Liquid Facelift Association. Dr. Funt performs surgery in his state of the art Long Island facility. Both facilities are fully accredited by the American Association for the Accreditation of Ambulatory Surgical Facilities. Dr. Funt and his board-certified anesthesiologists, physician assistant, registered nurse, licensed aesthetician, patient coordinator, and the entire staff will provide you the highest quality of care and latest techniques in an environment where compassion and safety are their highest priority. Dr. Funt is on the attending staffs of the Mount Sinai Hospital, North Shore University Hospital (Manhasset), and the South Nassau Communities Hospital.